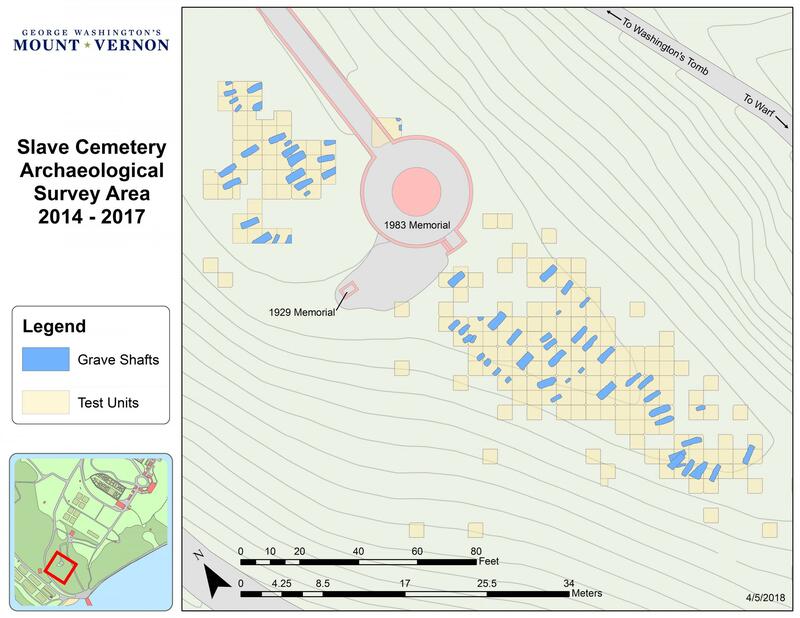 Between May 2014 and the fall of 2017, archaeologists excavated a total of 211 5 x 5 ft. test units in the Slave Cemetery, and discovered 63 burial features. 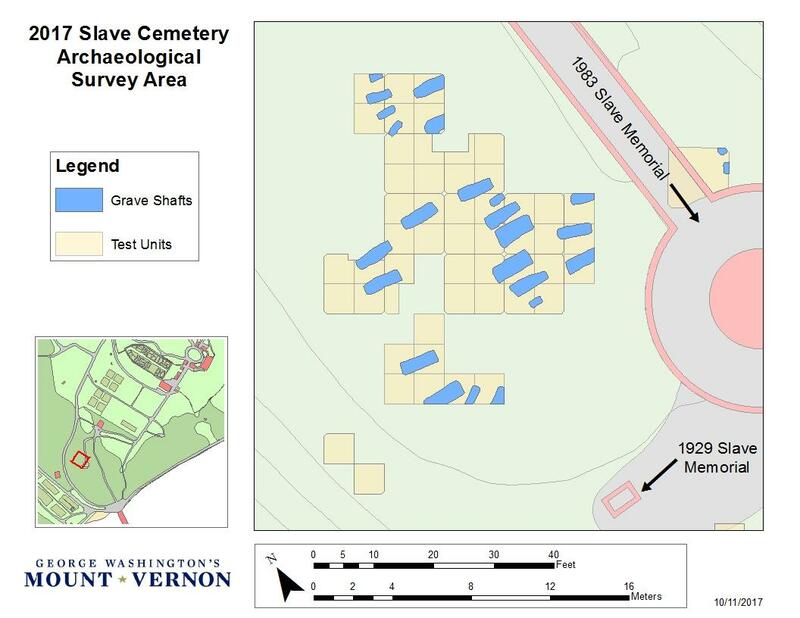 When combined with the seven grave shafts found in the burial ground prior to 2014, a grand total of 70 graves have been located. Each burial was thoroughly documented at its highest possible elevation, and no human remains were encountered or disturbed. All grave shafts were identified by 3 characteristics: shape, soil composition, and orientation. Though each burial is unique, most are filled with mottled yellowish clay. These grave shafts intrude a naturally formed, pale brown layer of earth that is relatively uniform across the site in both color and soil composition. 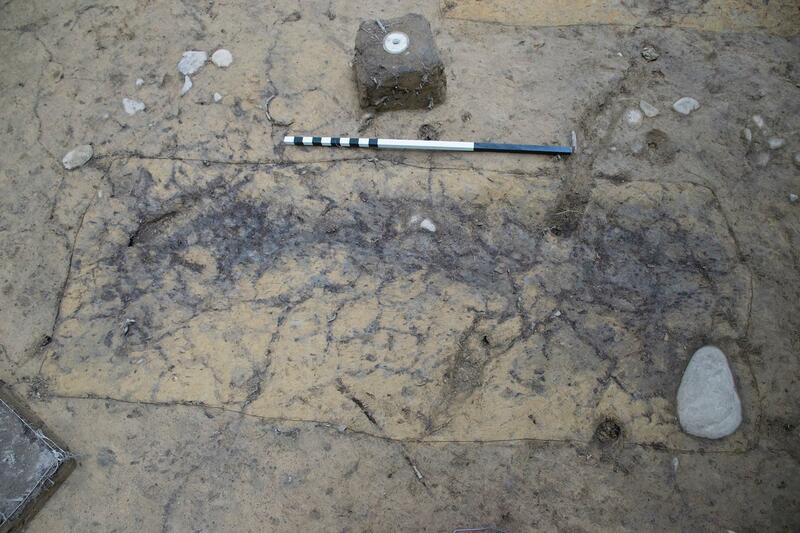 The resultant contrast between these two soil types made it possible for archaeologists to distinguish between grave shafts and the surrounding undisturbed areas. All interments exhibit an east-west orientation, or a close variation thereof. Based on the lengths and widths of each grave shaft, 24 (34%) appear to contain children or infants, while the remaining 40 (57%) are believed to contain adults. Six burials (9%) have not yet been sufficiently exposed in order to make a relative age determination. Archaeologists have found that most of the burials identified are arranged in nine distinct rows that run north-south, conforming to the natural topography of the ridgeline. In 2017, archaeologists focused primarily on an area west of the 1983 memorial pathway and circle. This location contained a handful of ground rises and depressions, possibly indicating past burial activity and the settling of grave fill. Ground-penetrating-radar (GPR) further detected a dense concentration of sub-surface features that merited additional investigation. Some of these GPR readings corresponded with ground depressions visible on the surface. Twenty-three interments were identified in this excavation area by the fall of 2017. 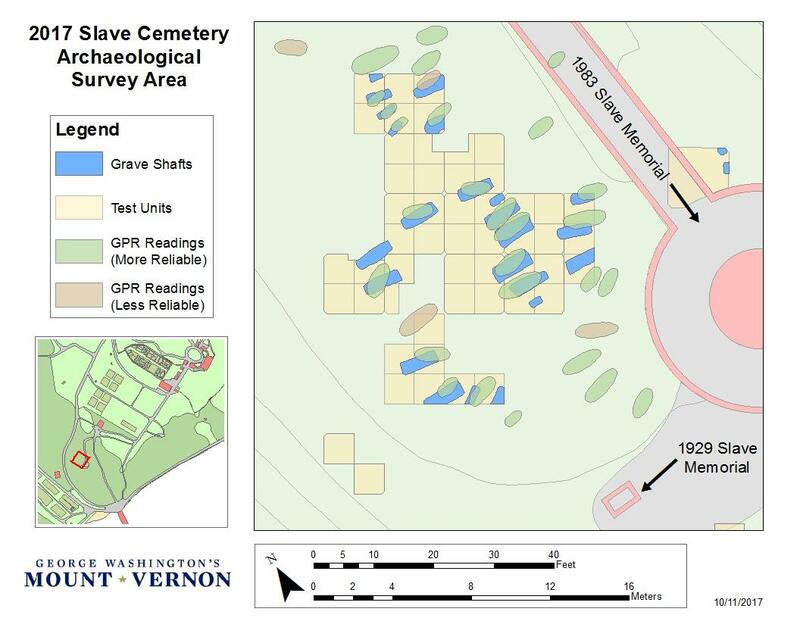 Seventeen of these burials aligned with GPR readings. Similar to other excavated locations in the cemetery, burials in this area are oriented east-west in four rows that run north to south, roughly parallel to the ridgeline. 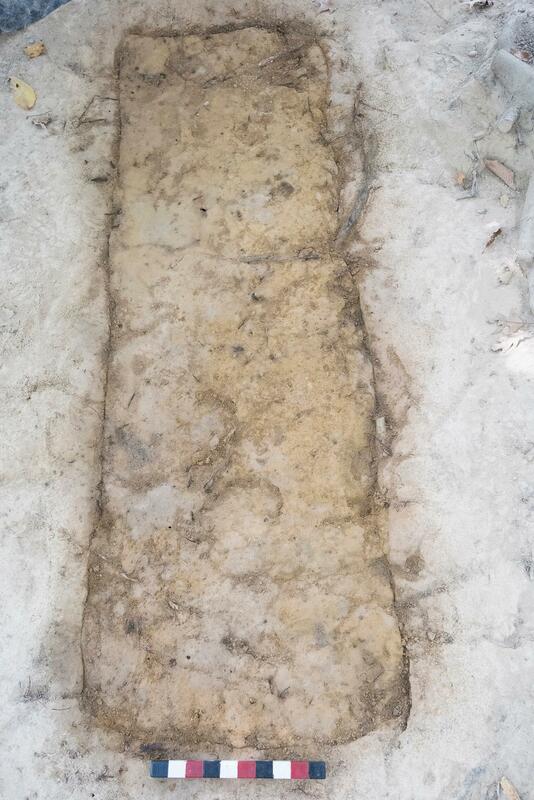 Of the 70 burials documented in Mount Vernon’s Slave Cemetery by the end of 2017, only one (F056) contains a possible marker in the form of an uninscribed footstone protruding prominently from the grave fill in the burial’s eastern end. The lack of evidence for other permanent or semi-permanent markers could suggest that burial mounds may have served as the primary way in which grave locations were identified during the cemetery’s use. Visitors to Mount Vernon in the 19th century even remarked that these mounds could be seen on the ridge beyond Washington’s tomb. Over time, many of these areas would have weathered and sunk and are no longer visible to us on the surface. Prehistoric artifacts and features continue to be found in the cemetery as well, speaking to the occupation of the first inhabitants of this ridge overlooking the Potomac. 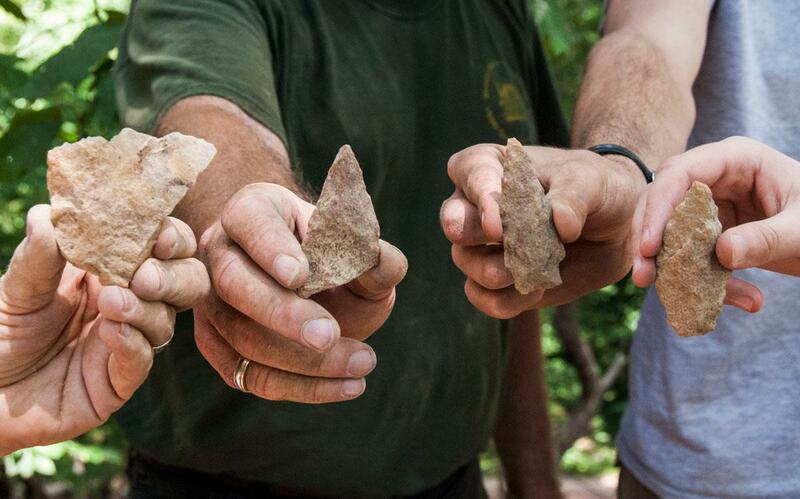 The vast majority of artifacts that have been recovered consist of quartzite flakes, projectile points, and other forms of lithic debitage that resulted from the production of various stone tools. Archaeologists will continue excavations in the Slave Cemetery each Friday during the summer and fall of 2018 as our project to thoroughly document the site continues. Archaeology at the slave cemetery is important.